Capacities Range 4 M Kcal/Hr. to 220 M Kcal/hr. OGPE is honored to be associated with M/s.Algas-SDI, USA for their entire range of products which includes 'LPG - Air Mixing Systems also called LPG - Air Mixing Systems, high capacity Electrical Water / Steam Vaporizers, Calorimeters, Stabilize and LPG Pressure Boosting System etc.. The other design of the System is called 'Blendaire'. This design of LPG-Air Mixer safely and accurately combines LPG vapors with Compressed Air to deliver a Natural Gas compatible mix at the pressure from 10 Psig. To 150 Psig. The LPG-Air Mix thus created by the 'Blendaire' will burn with the same characteristic and efficiency as Natural Gas without requiring any Burner adjustment. The heart of the Systems is three-way Valve wherein LPG and Air are made to mix in the desired ratio by equating the pressure on both the lines and flow through the system is controlled through a Diaphragm automatically. OGPE is an Engineering, Procurement and Construction (EPC) Company in existence for almost a quarter of the century and having in-house expertise in designing, setting-up and commissioning different types of Gas Storage Installations and Handling Systems from concept to commissioning. We offers our expertise in Bulk Storage Installations, LPG Storage Systems, Propane Storage Systems, Natural Gas Storage Systems, LPG Bottling plants, Portable and fixed type Gas detectors etc. The company since its inception has made great strides in its sphere of operations & have won plaudits for their quality, cost effectiveness and service. 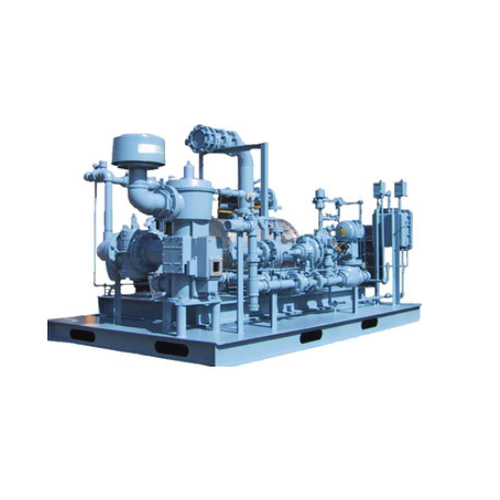 Our other products include Gas Leak Detection Systems, Pumps, Compressors, Vaporizers, Pressure Regulators, ALDS Sysyems, Air Mixing Systems, Process Gas Calorimeter, etc.